I’ve seen many posts in forums asking how to bypass the CMC (Central Management Console) logon screen ie: (how to logon infoview bypass the logon screen) , and unfortunately there has not been one solution posted. 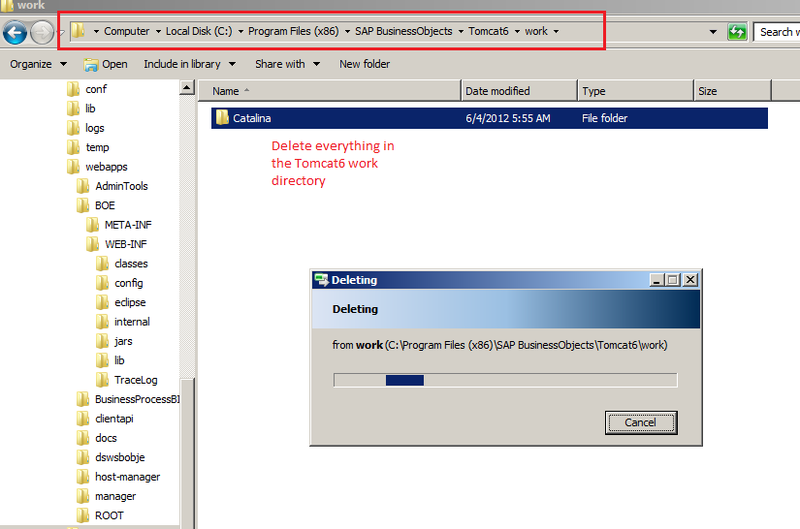 Recently with the help of Jeremy Ma from SAP Support, I’ve discovered the solution for BI4 that I would like to share. There are several situations on when you may want to bypass the CMC logon screen. For example, if you are already using trusted authentication for BI Launchpad, you may also want to use that for the CMC. In addition, if you want to create a link to CMC from BI Launchpad and not have to log in again, you may want to use the CMC bypass method. As many of you know, it is quite easy to bypass the logon screen for BI Launchpad. All you need to do is create an enterprise logon token, and append it to the Infoview URL via the ivsLogonToken parameter. Instructions for this can be found on my next post. I’ve outlined step by step instructions below on how to bypass the CMC login screen. In SAP Business Objects BI4 we are locked down majorly. It may be a good thing or bad thing depending on certain situations, but there are only 2 jsp files that you can insert customized java code in. If you do a simple search in the SAP BusinessObjects/Tomcat6/webapps/ directory, you can find custom.jsp in the InfoView or OpenDocument directory. Unfortunately the CMC directory does not contain a custom.jsp, so we will have to modify either the InfoView or OpenDocument custom.jsp. (It’s kind of a hack but we don’t have much of a choice here). If all of the custom.jsp files are in use already, you can simply send in a parameter depending on where you call the custom.jsp from that flags it as belonging to CMC or InfoView for example. Then in the code you can code the logic depending on whether it logs into CMC or InfoView. For those who are curious on how I coded the custom.jsp, please read below on an explanation on how each snippet of code works. It is really a good blog. I have a question. whether i need to replace the custom.jsp with your file or I need to insert your code into the older custom.jsp? Just make sure you modify the areas pertaining to your server settings. Thanks for your blog post. We have a slightly different setup. We use AD SSO and need to login into CMC “somehow” using AD. Do you have a code snippet ready of how we could use the existing AD-SSO mechanism of BI Launchpad and based on this create the cookie and redirect to CMC? We currently use the custom.jsp inside the webpath.InfoView/web directory to bypass the BI launchpad logon page. Is adding your code to that custom.jsp all that is required or do we have to place another custom.jsp in some other directory (such as webpath.CmcApp/web)? Currently when we logon to CMC it does not seem to hitting the custom.jsp files. This is interesting topic, but i am confused. After downloading the custom.jsp file and editing it as per our needs. Where should you place the modified file. 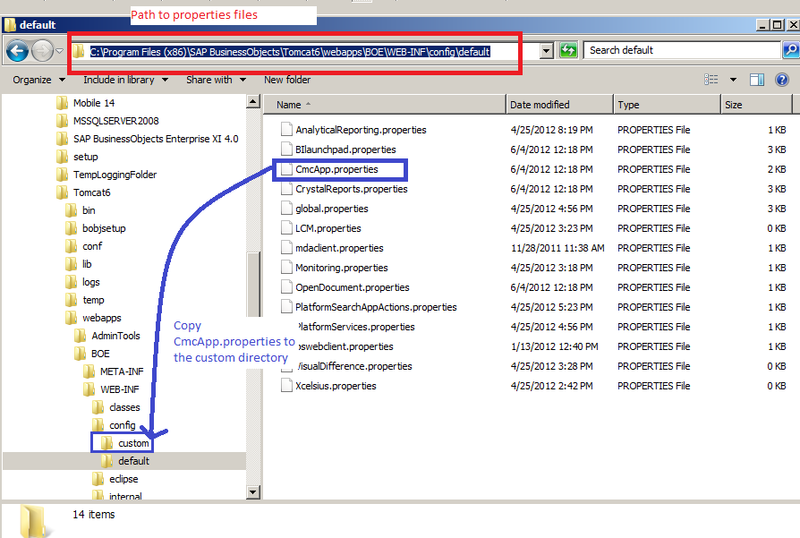 Replace the exisiting custom.jsp file in webpath.infoview folder or do wee need to place it another location. Please clarify. Appreciate your help. You install the Central Console by importing the DPM management pack on the Operations Manager server, and then installing Central Console.